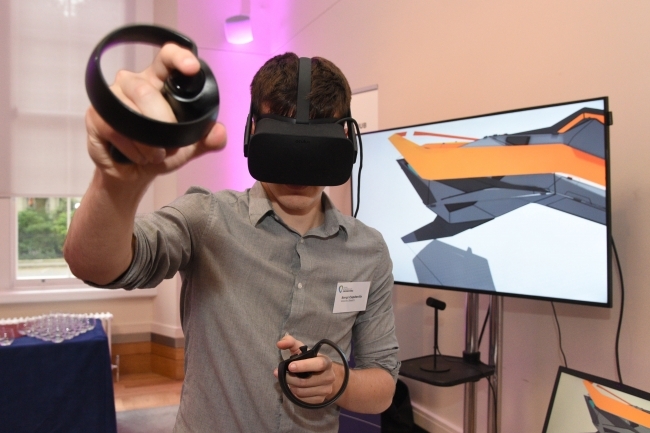 The Royal Academy of Engineering’s Enterprise Hub has hosted its fifth Annual Showcase at Prince Philip House in London. The evening celebrated the UK’s most promising deep technology and engineering entrepreneurs, providing an opportunity to secure commercial backing for their innovations. The event gave 14 Hub Members a platform to attract support and funding from Britain’s leading engineers and investors. Last year, nearly £27 million investment was secured by Enterprise Hub members in fields closely aligned to the Government’s Industrial Strategy. Fresh research from the Enterprise Hub underlines the importance of such events for the many engineering enterprises from outside London. A poll of Britain’s engineering community found just 15% based outside London had founded their own firm, in contrast to 63% in the Capital. One explanation for this may lie in attitudes to risk. Those outside London were 23% more likely to hold back due to worries that they might fail. Two thirds of the entrepreneurs bidding for support at this year’s Showcase are based outside London. Since 2013, the Enterprise Hub has supported over 100 entrepreneurs and SMEs, helping to develop ideas into investable, high-growth companies. To date 70 high growth startups have been established generating 300 jobs in fields ranging from artificial intelligence to healthcare technology. The 160 guests at the event included the UK’s leading engineers, venture capitalists and investors. The evening provided an opportunity for the entrepreneurs supported by the Enterprise Hub to recruit support for their business ventures. It is the culmination of more than a year’s support from the Enterprise Hub, helping those with engineering ideas to develop the skills and confidence to take their business to the next level. 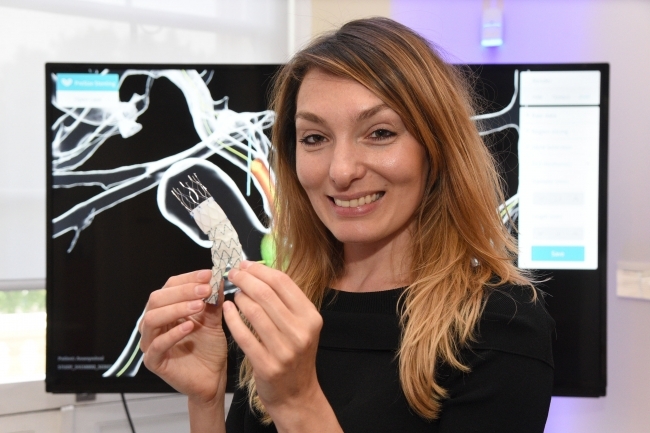 Oxford Heartbeat’s technology makes cardiovascular surgeries more efficient and effective by helping surgeons choose the right stent for every patient. Throughcomputational modelling it provides accurate representations of patient anatomy and devices used during surgery, so that surgeons can analyse and predict behaviour of different stents once they are placed inside the patient’s arteries, and choose the best fit. The technology will reduce surgery times, improve patient outcomes and provide cost savings for hospitals. Q-Bot is transforming the construction industry with robotics and artificial intelligence. It has successfully commercialised the market-leading solution for the insulation of suspended floors. 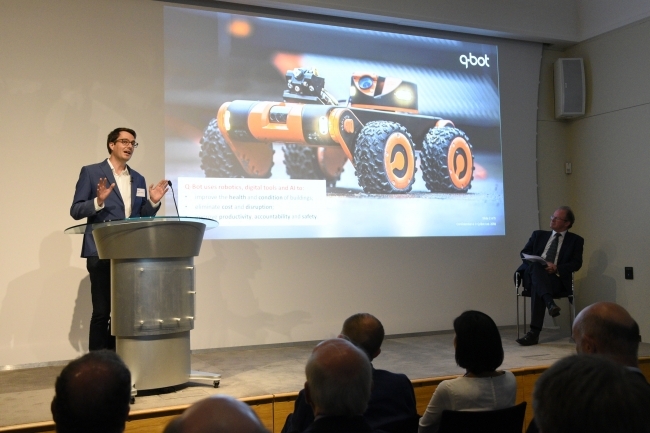 In doing so, Q-Bot has proven the technology works, secured accreditation, won multi-million-pound contracts and built up a valuable pipeline of public sector and corporate clients. Q-Bot’s technology includes solutions for install and asset management that allow the process and building to be digitised, which empowers decision making, assures quality and reduces cost. Music is incredible but traditional instruments are not suitable for young children. Soundbops are a child’s musical first steps. Through innovative, patent-pending musical building blocks, Soundbops provide an easy, engaging and educational first introduction to music. The educational toy market is set to grow to £23 billion by 2019 and there is a need and gap for a music educational toy brand. The company has just raised £51,000 in pre-orders from Kickstarter and is looking for seed investment. engaging, immersive and cinematic content for their viewers, irrespective of their playback device. It also enables the removal of expletives from the pitch-side microphones and provides a real-time metadata feed describing time and location of all the significant match events to further improve match analysis and production. InspiWave is a bedside lung monitor that provides lung-protective mechanical ventilation to reduce ventilator-induced lung injury (VILI). Nearly half of all critical care admissions need mechanical ventilation but it can further damage the lung, and VILI impacts more negatively on people with, or at high risk of, acute respiratory distress syndrome (ARDS). InspiWave provides lung information so that clinicians can tailor ventilator settings to each individual patient’s need. Gravity Sketch is the first professional-grade immersive 3D design software. It can create, iterate and communicate three-dimensional ideas between designers, engineers and decision makers. The technology helps build a more effective and intuitive design workflow by using virtual and augmented reality. The team is addressing some of the most challenging areas of VR imaging and gestural user input to deliver an operating system for real-time 3D content creation. This year, Gravity Sketch is focusing on solving communication and modelling challenges faced by the European automotive industry. Recoil Knee Pads use a double-layer spring system to absorb impact and spread pressure evenly across the knee, providing a 76% pressure reduction and reducing the risk of knee injury. The knee pad design allows for a 360° pivoting mechanism that moves naturally with the knee, increasing user flexibility and easing the user’s movement. The heavy-duty material resists penetration from several materials making the product long lasting and hard wearing. The support pads help to prevent knee damage and enable those with existing knee problems to kneel more comfortably. Klydo is an intelligent research assistant that reads millions of company websites and news articles to help brands answer strategic questions such as “what’s the future of health and wellness?” Through advanced machine learning, it delivers insights as unique and personalised as an agency can, but in real-time and entirely from data. The company is already selling to large brands such as Unilever, and has over 30 other brands and agencies in its pipeline, including Vodafone, TfL and Lush. Flexypix manufactures plastic window film that changes from completely transparent to opaque to control privacy and the intensity of ambient light entering a room. The displays use a unique liquid-crystal material that transforms at the flick of a switch and can be integrated into glass windows. The technology only requires power while switching states and is both cost and energy efficient. Flexypix offers privacy, control, customisation and novelty to enhance any transparent surface. ​NitroPep is an antibacterial coating for metal surfaces that kills bacteria on contact. NitroPep’s active agent is incorporated during a post-manufacturing thermal treatment process, resulting in a metal that looks like brushed steel and works continuously to kill bacteria. Self-cleaning surfaces could help to prevent some of the 37,000 deaths caused by healthcare-associated infections each year in Europe, and Dr de Cogan hopes that NitroPep will be used in hospital facilities, such as operating theatres and washrooms, to help prevent such infections. ​Hexigone Inhibitors addresses a worldwide issue facing coatings manufacturers and OEMs (original equipment manufacturers). Mutagenic and carcinogenic chemicals face a total ban in the EU, so to replace these, the company offers smart-release micro- and nano-reservoir systems of inhibitors. The additives enable the coatings to protect for longer in an intelligent manner, increasing the lifetime cycle of the end product. Hexigone is currently working with several large multinationals in the EU and USA across several sectors. Metix Medical has developed a light and portable medical device that rapidly collects a patient’s vital information, helping first responders to make important decisions about treatment quickly and efficiently. The device works as a miniaturised hospital monitor and combines several functions into one machine, saving first responders from having to manage multiple machines at a crucial time. It transmits data in real time so that a patient’s vital information can reach hospital before they do. ​Vochlea Music is a creative technology company specialising in fun, easy-to-use music-making products. Music creation should be intuitive, expressive, fun and accessible, but all too often, equipment set-up, instrumental ability and counterintuitive tools stifle it. Worse still, in the case of a complete amateur, it often has no outlet at all. Vochlea Music has created an AI audio engine that empowers anyone to create, control and manipulate music easily, using their voice. ​H2GO Power creates hydrogen-based energy storage units. The units have the capacity to store five to ten times as much energy as battery equivalents, and is a clean, low-cost solution that could impact energy storage at every scale. Dr Abo-Hamed is an innovator with a strong drive to generate social impact and is keen to harness the technology’s abilities to use excess renewables and facilitate reliable distribution of power in countries with intermittent energy supply.